The marketing concept of last season’s “Your Face Sounds Familiar” was “mannequins”. We ended the season with something very special that had never been done before – Kaubamaja’s whole window display was dedicated to the show. Showing actual costumes, wigs and photos from the show. 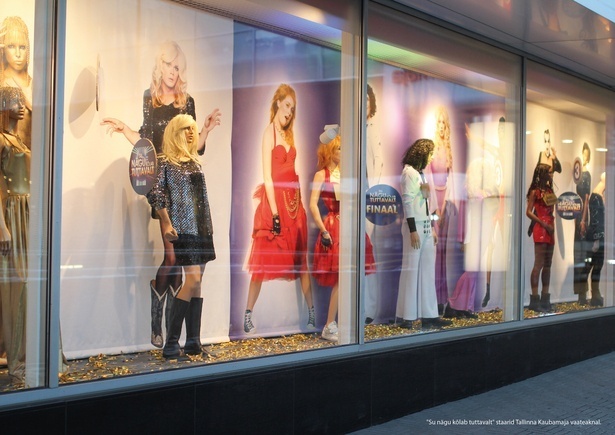 The window display was opened by the show’s stars themselves. At first the finalists’ mannequins were covered in golden wrapping and were revealed right when the finalists were announced on TV.